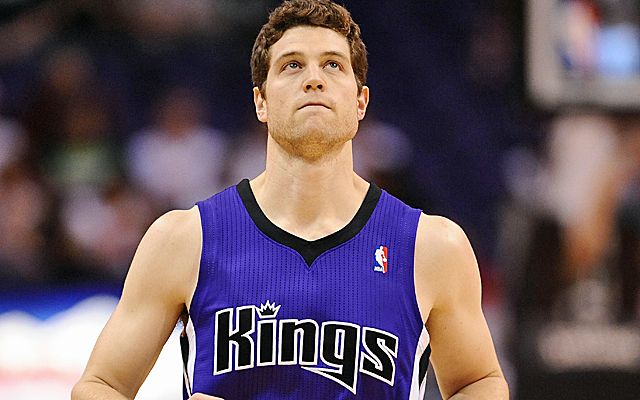 After being one of the most hyped college players ever, Jimmer Fredette never really made it in the NBA. This led to him eventually going abroad and join the Shanghai Sharks of the Chinese Basketball Association in 2016. Saying he played well would be a huge understatement. In his first season, he averaged 37.6 points, 8.2 rebounds, 4.2 assists and 1.6 steals per game, while shooting 47.4% from the field, 39.6% from 3-point range, and 93.3% from the free throw line. He easily lead the league in scoring and won the international MVP award. Jimmer still plays in Shanghai and his stats remained about the same. He’s destroying the league and the time has come for Fredette to want another shot at playing in the NBA. This time, he will succeed. Last November, he said in an interview that he’s working on an NBA comeback and that he’s confident to do better this time. “I want to have another opportunity in the NBA because there is some unfinished business for me there. After this season is over, I want another NBA chance. This time, I’ll succeed. It seems like this chance now has finally arrived. Fredette is supposedly meeting with the Houston Rockets’ front office today, to finalize a deal for the reminder of the season. Suns are meeting with former BYU star Jimmer Fredette tomorrow, could sign for remainder of season.